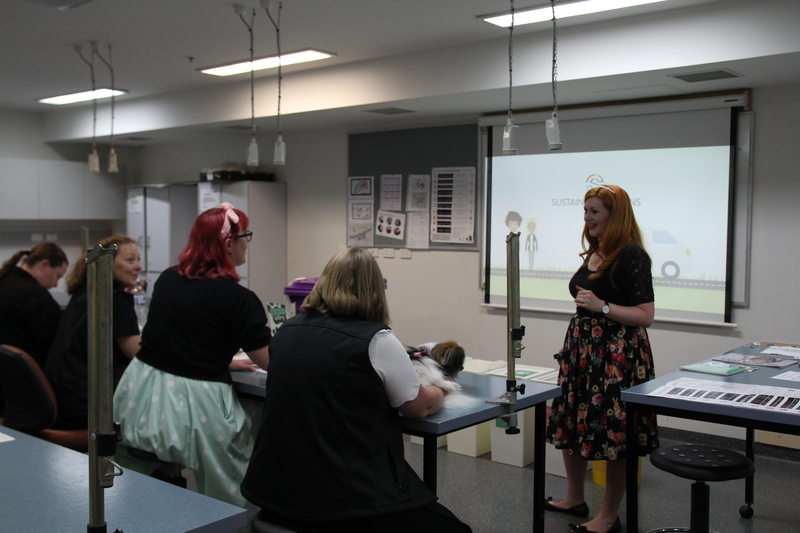 In an Australian first, Box Hill Institute’s Pets on Elgar dog grooming salon has partnered with Sustainable Salons Australia, meaning teachers and students will now recycle up to 95% of their waste by using a comprehensive resource recovery service offered by the partnership. The partnership evolved out of a pilot program initiated by Pets on Elgar with Sustainable Salons Australia in 2016. Sustainable Salons Australia was well established in the hairdressing Industry at the time and when Pets on Elgar presented its idea to trial a similar program for the pet grooming industry, they were keen to pilot the program. Through the pilot program, Sustainable Salons Australia conducted waste collection research on Pets on Elgar’s grooming salon and trialled the use of pet hair in oil absorption. As it turns out, pet hair is even better than human hair when it comes to absorbing oil, perfect for hair booms, which are used in oil spills. The pilot program led to the full implementation of Sustainable Salon Australia’s recycling program in pet grooming salons around Australia. Animal Studies teachers recently underwent training to become more sustainable business practitioners and to limit the amount of waste in their areas that ends up in landfill. Animal Sciences Coordinator Katie Rutherford said, “The students will be heavily involved in this program.” She’s hoping the students use their newfound environmental knowledge when they enter employment thus reducing the impact of waste in the community. Acting Dean of the Faculty of Health, Community & Life Sciences, Heidi Wenk said, “Our hairdressing department became involved with this partnership to provide an environmentally friendly service to our customers in a climate where people are becoming more aware of our impact on the environment and are looking for businesses that act responsibly. “Australia-wide, salons are partnering with Sustainable Salons Australia to improve environmental outcomes and awareness, so this puts our students at an advantage with respect to employability. They will be aware of the program and will be industry ready,” she said. Human hair is recycled with ponytails made into wigs for children with alopecia through the Variety Charity and it is also turned into hair booms. The Australian hairdressing industry sends 1,500 tons of recyclable aluminium to landfill equating to about 715 cars annually. This is in addition to plastics, colour tubes, cut hair and more. Sustainable Salons Australia recycles these materials and the proceeds are returned to the community through Oz Harvest, which provides meals for the homeless.